Ask yourself , do I deserve a little ME time? You know your inner self better than anyone, and if its telling you 'YES' then its time for some pampering - Massage Birmingham with Adhara. Why not take advantage of a Body Massage Birmingham, maybe even an Indian Head Massage, Shoulder Massage, or Head Neck and Shoulder Massage. We provide blissful treatments that will help you to unwind in a tranquil environment so that you can de stress and leave feeling good about yourself. Our massages are tailored just for you, a combination of oils, soothing music, gently rubbing, pressing and manipulation of your skin and muscles in order for you to relax any strained or overworked muscles and tendons. Prolonged periods of sitting can lead to postural stress and imbalances which tend to manifest in the shoulders and neck. So all of you desk workers out there come in and get yourselves booked in. Suffer with sore muscles as massage increases and improves circulation which eases muscular pain. Do you suffer with anxiety and depression then regular massages helps you to relax and feel less angry reducing stress levels. Improves sleep as you relax would help for those who can't comfortably rest. Boosts immunity it can boost white blood cell count (which plays a large role in defending the body from disease). Suffer with headaches? massage can help with decreasing severity and frequency of tension headaches. Another form of relaxation technique that we perform is Reiki. 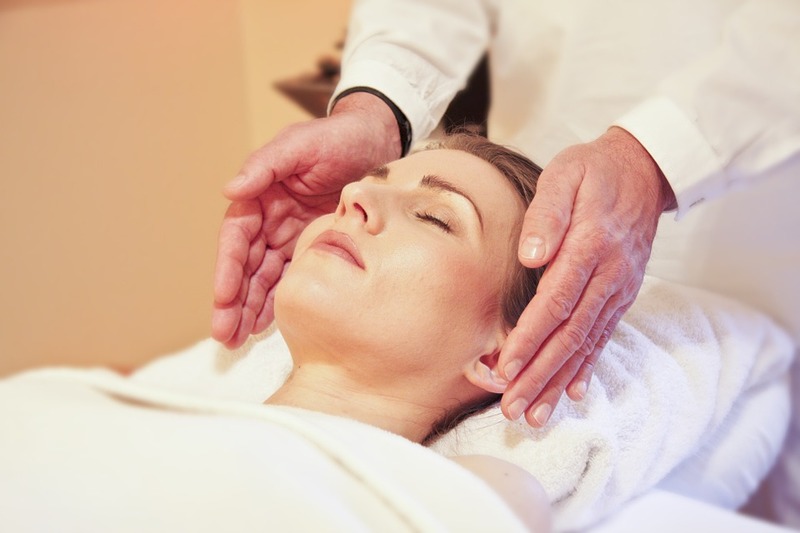 Reiki is a form of energy healing, using both a “hands-on” and “hands-off” approach. Its a technique that assists by overcoming or minimising any pain or discomfort by balancing your energy core; aka; 'the chakras'. It is of course a very natural process that induces a relaxation state and heals by allowing any blocked energy to flow freely through your body on all levels. Reiki is a powerful solution that infuses your chakras and your body.